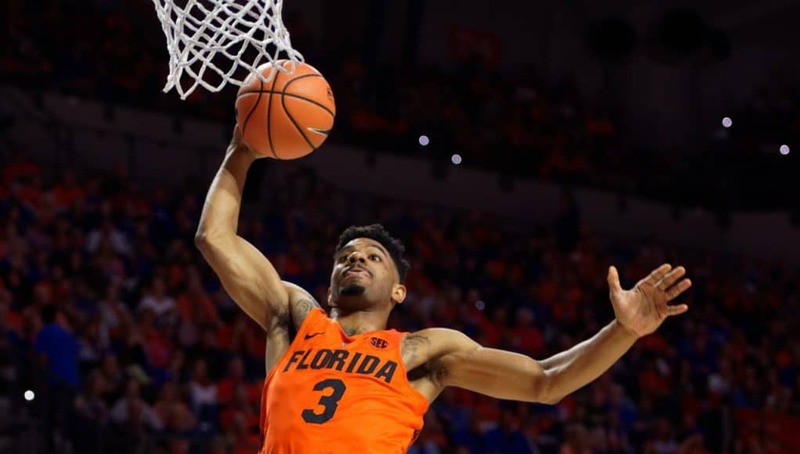 After exercising his right to declare for the NBA Draft to assess his potential professional value, wing Jalen Hudson has reportedly (per Jon Rothstein) decided to return to the Gators for his redshirt-senior season. Hudson made sure to get his name out there during the time he was declared working out for multiple teams including the Los Angeles Lakers, Atlanta Hawks, and Brooklyn Nets. 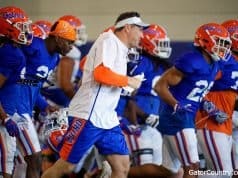 Though the word was that he showed fantastically in these workouts, it wasn’t enough for him to want to leave Gainesville for the chance to go to the Association. Many NBA draft experts were high on Hudson’s pro prospects (and still are for next year’s draft) but the writing may have been on the wall for his return to college when he didn’t receive a true invite to the NBA Draft Combine, only an alternate invite if enough players with regular invitations dropped out. Though many top of the lottery guys did drop out, a handful of players such as North Carolina’s Theo Pinson, Kansas’ Lagerald Vick, and Nevada’s Cody Martin got the nod with Hudson being left home. Without the opportunity to showcase his measurable athleticism and skills through the tedious testing of the combine or go through the team interviews and psychological analysis (arguably the most important part of the combine) Hudson wasn’t in the best position to showcase himself to potential employers. A long and bouncy guard with the ability to create his own shot, Hudson possesses a lot of the skills sought after in the modern NBA and will still have a great shot at getting selected in the 2019 draft, one that is projecting to be noticeably weak (something that may have even factored into his decision to return to school). In his final college season he’ll be looking to improve his defense, one of the biggest elements of his game that scouts and draft analysts were saying was hurting his perception amongst teams. Considering how well coach Mike White’s teams have defended in the past he should be under excellent tutelage to get better. He has all the physical tools to be a great stopper and developing there would help his stock immensely. Further things for him to work on will be his passing and distribution abilities as a player who handles the ball a lot and his bizarre free throw woes considering he’s an excellent outside shooter. 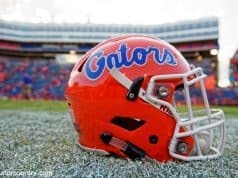 This is huge news for the Gators as they now bring back a key offensive weapon and the creator the team would have lacked should he have went pro. He should be given every opportunity to put up tremendous numbers as the featured scorer and should be considered one of the preseason favorites for 1st Team All-SEC and SEC Player of the Year. With the Gators needing some production at the point guard spot this year, you might even see Hudson playing there as coach White looks at his options around 5-star point guard Andrew Nembhard. 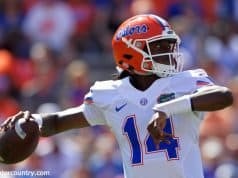 With Hudson back, also expect the Gators to creep back into the preseason top-25 lists of many analysts as the team will have a deadly experience laden starting five including senior KeVaughn Allen, redshirt-senior Jalen Hudson, redshirt-junior Keith Stone, and senior Kevarrius Hayes and some incredibly talented young pieces off the bench including sharpshooter Noah Locke, high-flyer Keyontae Johnson, and the duo of frontcourt players coming off injuries in Chase Johnson and Isaiah Stokes who have been doing great in offseason workouts.